In January, Barack Obama is sworn into the office of president of the United States making him the first African-American president in U.S. history. SUGAR LAND, TX-Companies plan to spend 2.7% less on North American industrial project construction next year, according to Industrial Info Resources Inc. (IIR) The Sugar Land-based company forecasts the value of industrial project construction in 2010 will be $147.2 billion, compared to about $151 billion this year. Tax Credits are Great Incentives to Go Green Now! There’s never been a better time to “go green.” Federal tax credits for energy efficiency (available through 2009 and 2010) are amazing incentives to build energy efficient homes and upgrade existing homes. Through 2010 existing home owners can save 30 percent of the cost of upgrades, up to $1,500, according to the US Environmental Protection Agency and US Department of Energy’s Energy Star program. The concept of building an environmentally friendly home or business is more than just a passing political fad. According to the U.S. Environmental Protection Agency, buildings have a tremendous impact on energy consumption and the natural environment. 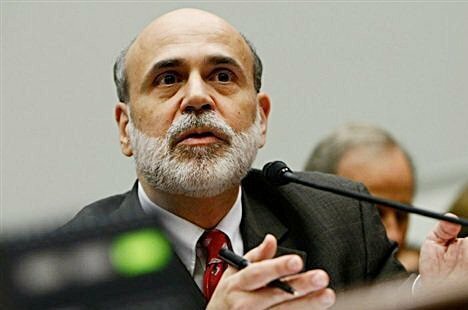 There’s no news like good news and Federal Reserve Chairman Ben Bernanke delivered some great news to a gathering of financial gurus in Jackson Hole, Wyo. Friday (Aug. 21) according to an Associated Press report released Friday morning.